What is the most important thing between these two groups of choice: life, water and nature or gold, capitalist profit and economic growth dreamed of by the international bankers? I chose life, water and nature! 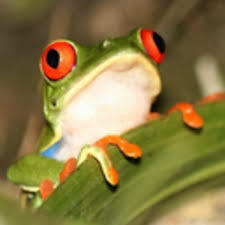 While the world’s eyes turned to the events in Turkey and Al Qaeda in Syria or setbacks they fight on behalf of Islam and the New World Order (with the blessing of the CIA), a huge financial scandal ecological prepares to operate in Peru, in the Andes, threatening with Belo Monte, the fragile ecological balance of the entire planet. A vast area will be affected! Conga no va or hoy or nunca! – Not to Conga, today or tomorrow! Are there any plans to denounce the capitalist savagery … Montreal, Ottawa, New York …? An open pit mine that legitimize the plundering of natural resources by 1% and leave the environmental problems in the hands of 99%. One of the largest companies in environmental destruction of the world is currently in Cajamarca in the northern Andes of Peru, where the Conga mining megaproject, which will destroy important water sources in the region comes from be relaunched this month by the government of President Ollanta Humala and transnational mining company Newmont-Buenaventura-Yanacocha. This decision is very serious because, in addition to the environmental disaster it involves and implies in the future, it can result in immediate, like was the case in the recent past, with tragic human consequences. The government of Lima gave the « green light » to impose Conga megaproject that was officially « suspended » to the resistance of the population. 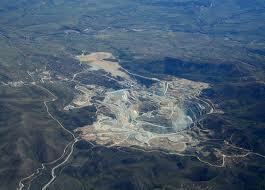 The effects of the announcement of the government and the mining company are not expected. 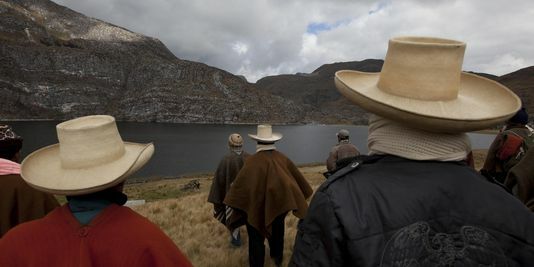 On May 28, nearly 1,500 « comuneros » Guardians of Lakes and other representatives of the people who walk in the mountain to inspect the recovery work, were violently repressed by the police, who did not hesitate to shoot them. This time the victim was the farmer José Guillermo Huaman Cueva, wounded by a shot with buckshot. 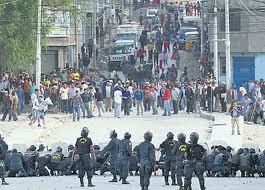 A year ago, the shooting of the police and the army killed five people and injured fifty, and to Celendín Bambamarca. It is clear that, after two years of peaceful resistance of the people of Cajamarca, President Humala and the mining company have decided to no longer respect or principles or forms and impose the Conga project by force. To achieve this sudden shift in power, the government of Lima has just adopted new rules that change the laws and unrestricted open doors to multinationals, allowing them to circumvent the rules of environmental protection and heritage conservation Archaeological and make fun of the right to health, life and self-determination of the affected population. We call on all social organizations, trade unions and political in France and Europe to speak out against this very serious crime against humanity, because even if it occurs in a remote area of ​​the Peruvian Andes, its consequences are still global. Indeed, the destruction and contamination of water sources Conga will affect the Amazon basin and the rivers flowing into the Pacific Ocean. 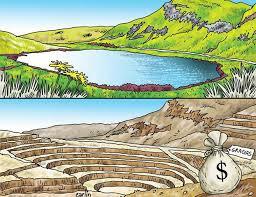 Ultimately, not only the people of northern Peru will pay the consequences of the current wild Extractivism. France and the world are concerned. • For self-defense, water, health and life facing the open pit and leaching, destructive technology employed by Newmont to extract gold in Cajamarca, Peru. • To respect the decision of the people of Cajamarca, who spoke to 78% against the imposition of the Conga project, and respect their right to determine its own development strategy and its own vision of the future . • In Memory of César Medina Aguilar, Joselito Vásquez Jambo, José Antonio Sánchez Huaman, Paulino José Eleuterio García Rojas, José Faustino Sánchez Silva, five people were killed in July 2012 by the firing of the troops in cities and Celendín Bambamarca and for the prosecution and punishment of those responsible for these murders. • In Defense of El Perol and threatened other lakes in the region.